Round 3 of the 2016 Adventure Racing World Series was held recently at the ‘Tierra Viva’ race in Chilean Patagonia, and the decisive winners were Team DSN Hoka 74 of France. For the second Qualifying race in a row, a team new to the ARWS and racing outside of the world rankings, has taken the line honours and secured their place at the World Championships in Australia in November. The French also claimed another podium position with RaidAdventure Fr Ardèche France taking 3rd place. Tierra Viva is a long established ARWS race, one of 4 in South America, and is styled as ‘The Beast of Patagonia’. In previous years it has taken place in Argentina, before moving across the border to Chile last year. 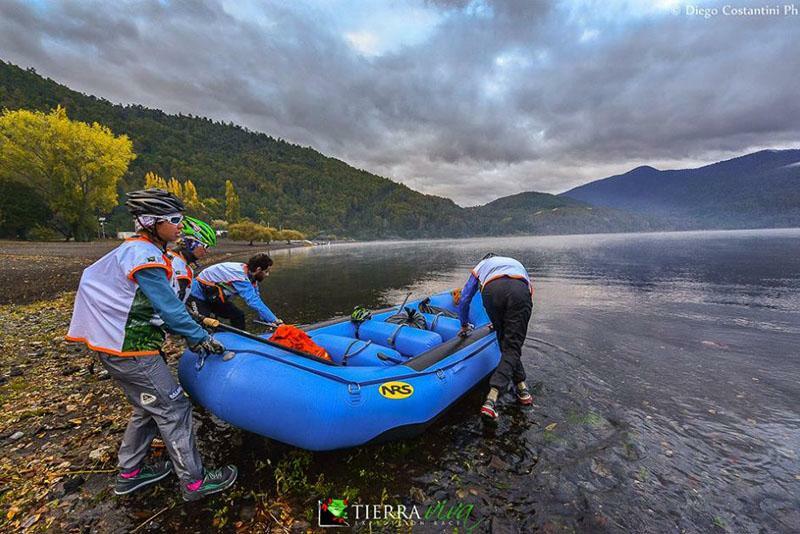 This year it was once again based at the adventure sports town of Pucon in the central Chilean Lake District and 10 international teams travelled to take part. The 548 km course included one paddling stage (which was disrupted by bad weather) and alternating biking and trekking stages with extensive elevation gains. This race is often defined by the difficult trekking stages and once again they crossed wild and trackless heights close to glaciers, and led teams through dense ancient forest. The winning team consisted of Frechinet, Lionel Jaccoud, Emmanuel Lang and Nicolas Rambier and on the basis of this performance they could shake up the established elite teams at the World Champs in Australia.